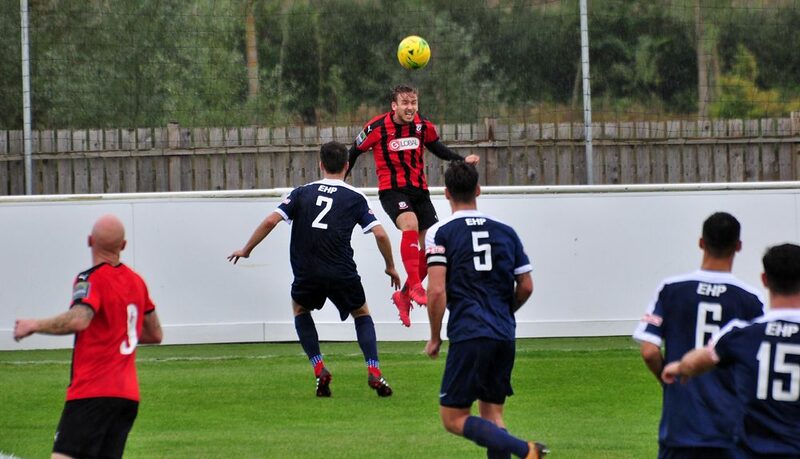 As expected, Manager Graeme Smith made several changes to his Coggeshall side after Tuesday nights penalty shoot-out win over Great Wakering Rovers. 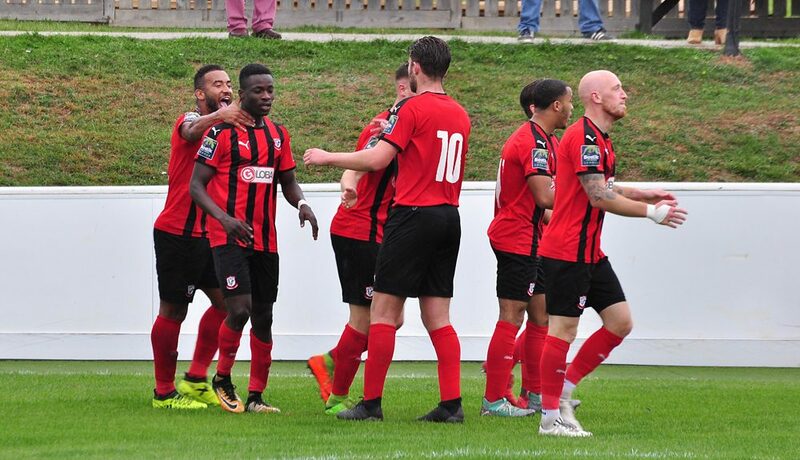 The SeedGrowers were without the suspended George Cocklin, but were able to welcome back Curtis Haynes-Brown from suspension and Nnamdi Nwachuku made a return from injury on the substitutes bench. 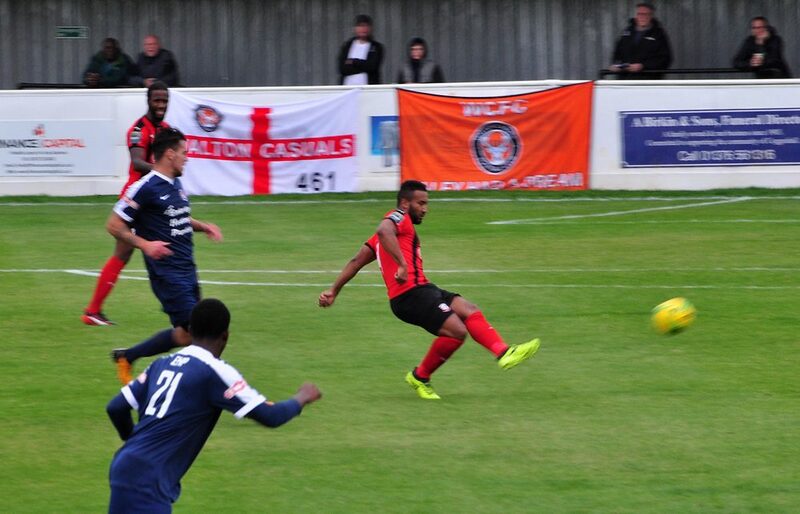 Walton Casuals included within their ranks ex professional footballer, James Harper who appeared over three hundred times for Reading. 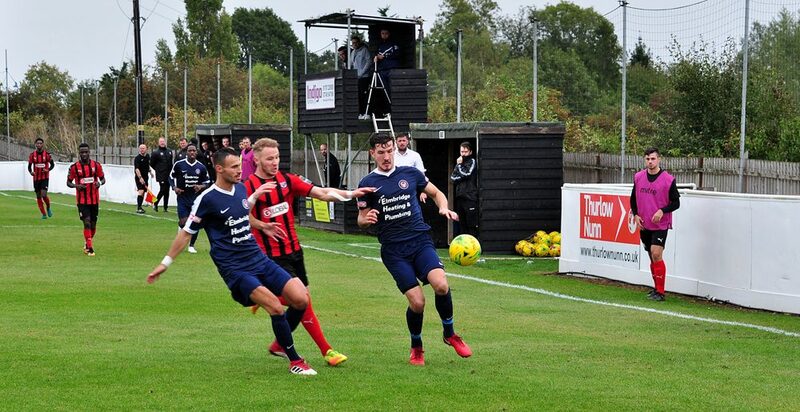 Coggeshall have already made history this year in their FA Cup debut season, however this match was set to be their toughest yet against a side one league above them in Walton Casuals. 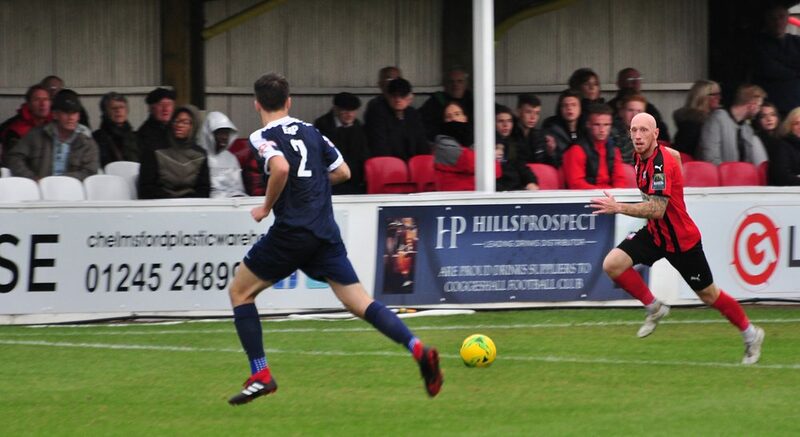 It was the visitors who attempted to control the early stages of the game, with both sides looking to get the ball down on the gorgeous, West Street surface. 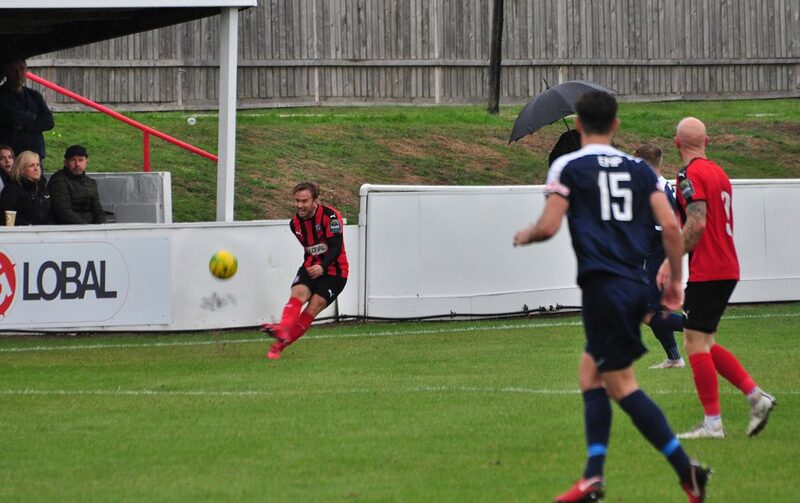 As the rain poured down, it was the underdogs who had the first shot of the game. 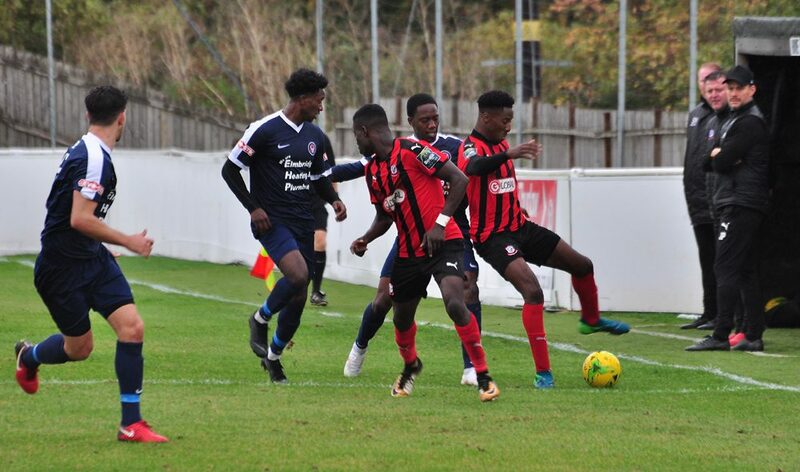 Daniel Cunningham released Michael Gyasi down the left hand side, Gyasi cut in on to his favoured right foot and forced Gerrar in to a smart save. 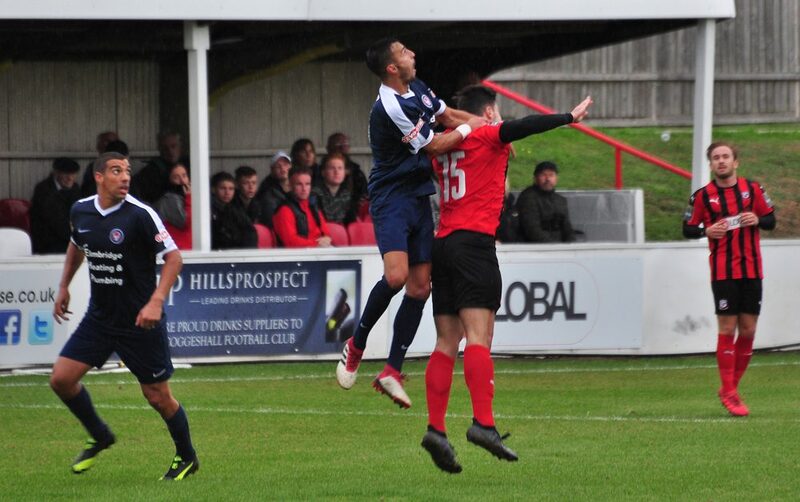 As Walton attempted to fight back, tempers began to flair. 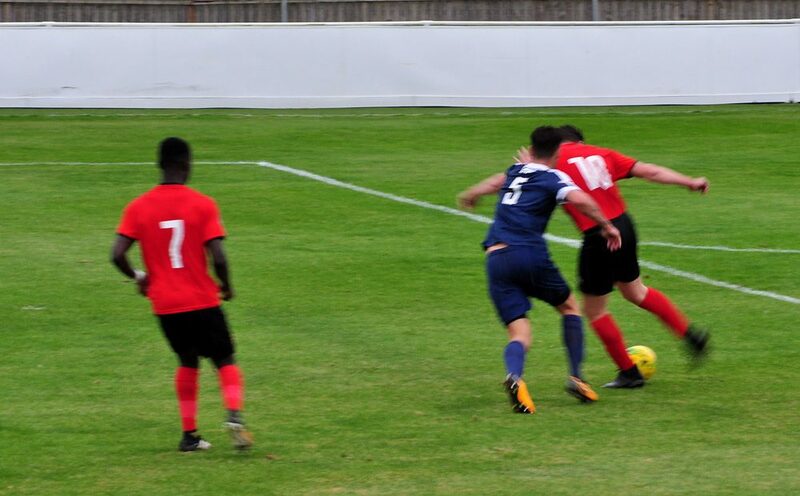 Darren Mills collected the first yellow card of the afternoon for a late challenge and was closely followed by Youssouf Bamba who was booked for the visitors after what appeared to be a stamp on the leg of young, Joshua Pollard. 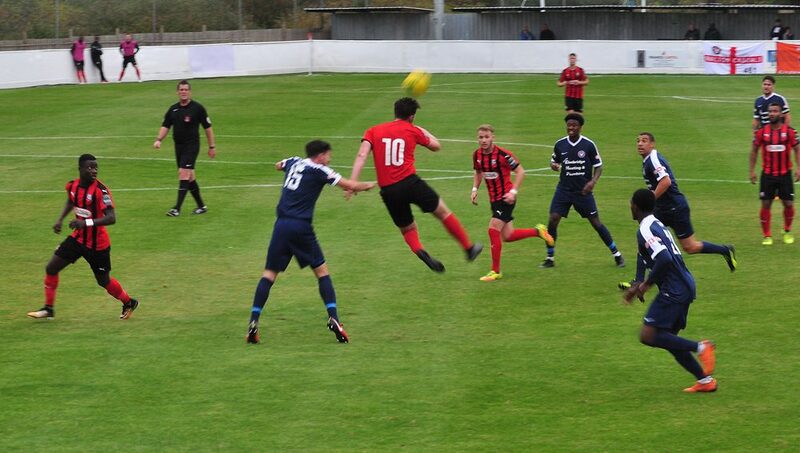 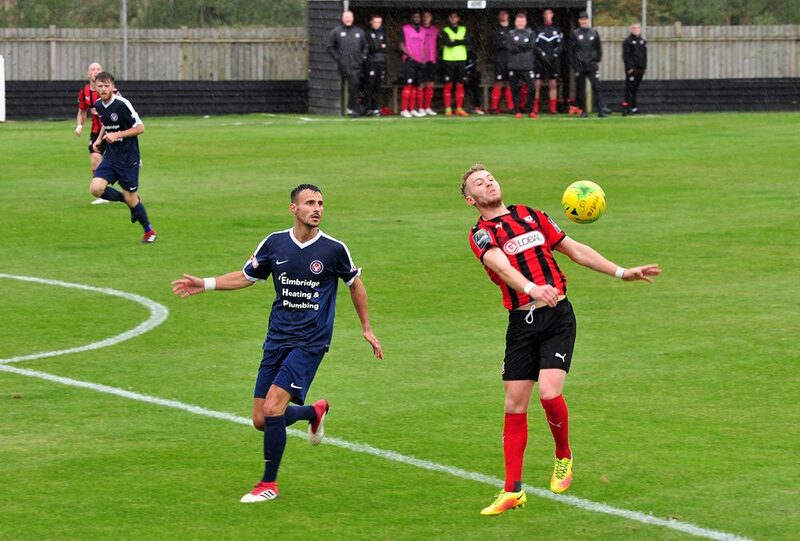 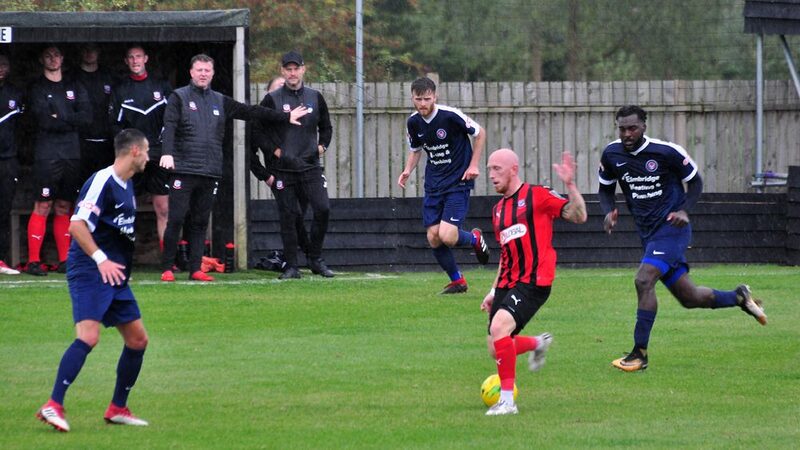 Coggeshall then had further chances to extend their lead, as Mills flicked an effort on to the roof of the net and Hubble sent a long-range effort just wide of the post. 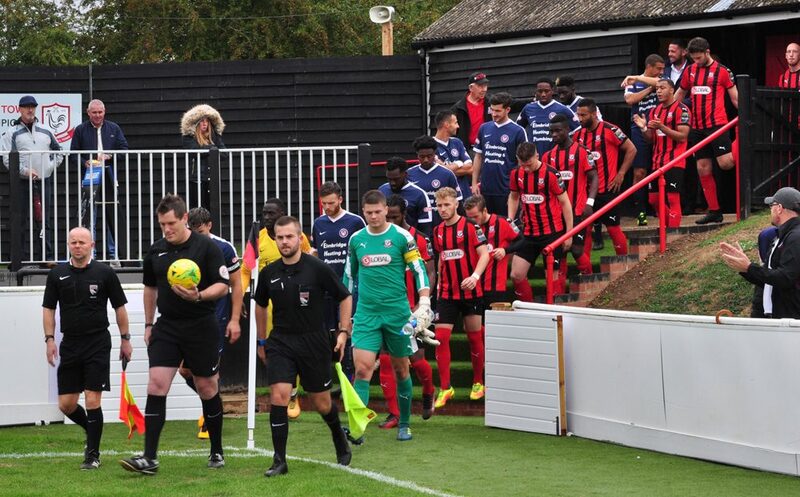 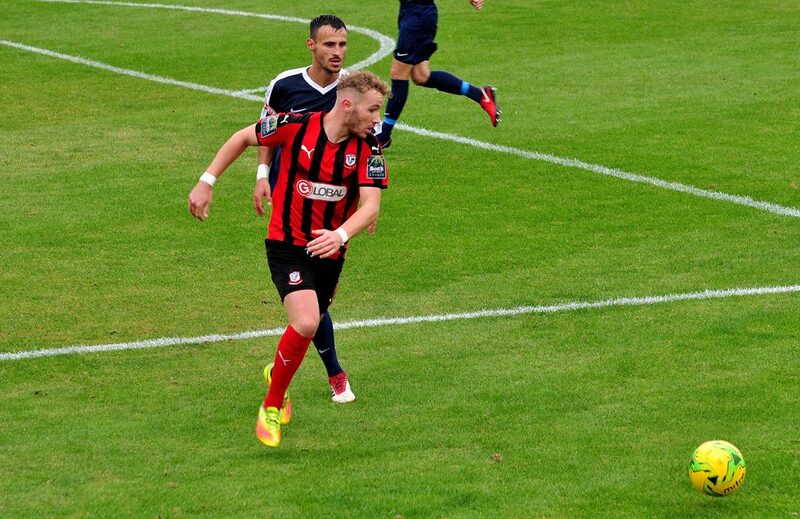 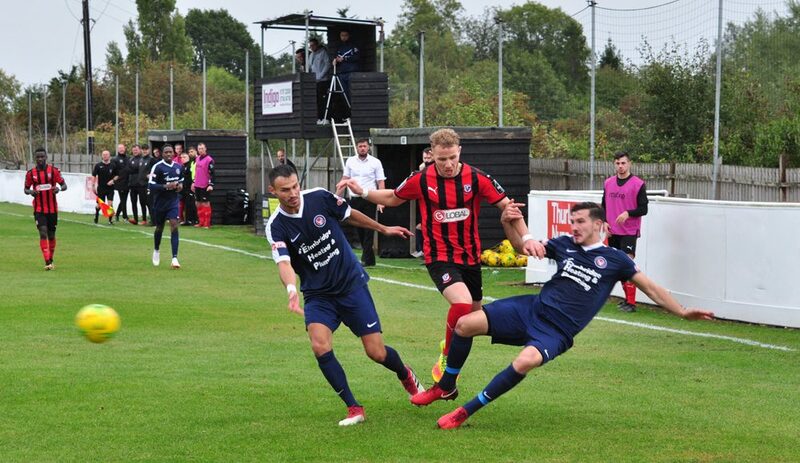 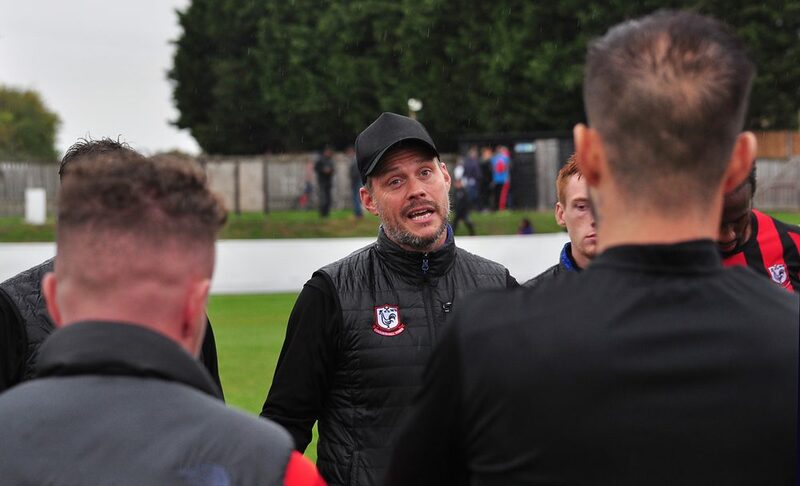 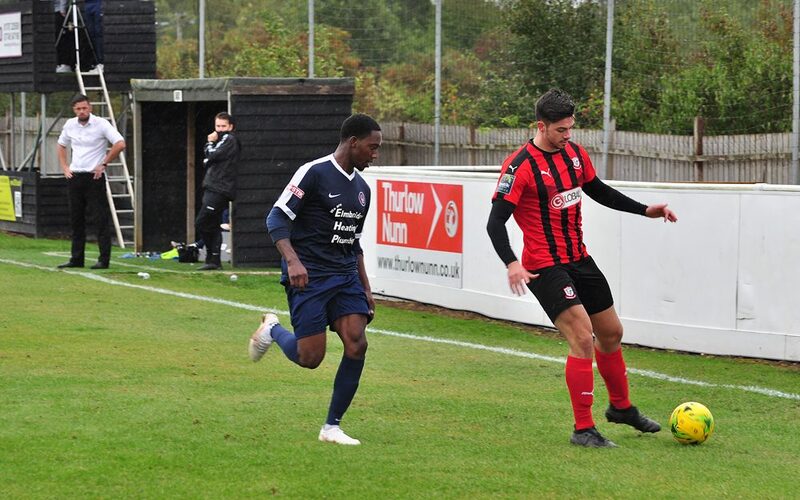 Walton had their first chance of the afternoon after thirty seven minutes, however Ollie Robinson was unable to keep his effort under the cross-bar. 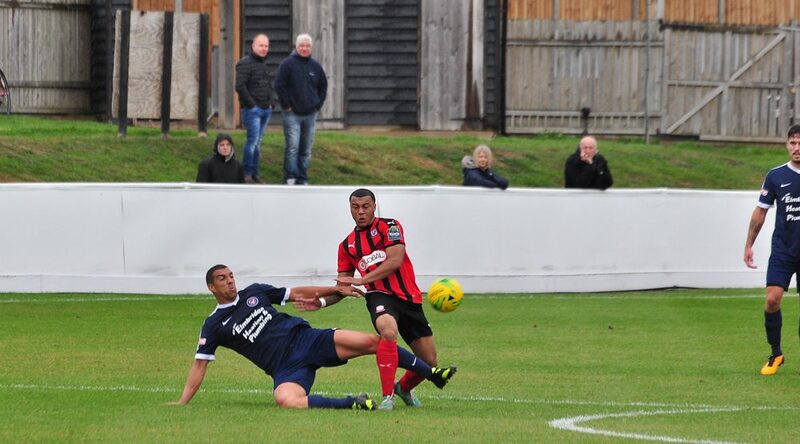 Tauren Roberts was then shown a yellow card for a late tackle on Cunningham, whilst the home side appealed for more than just a yellow card. 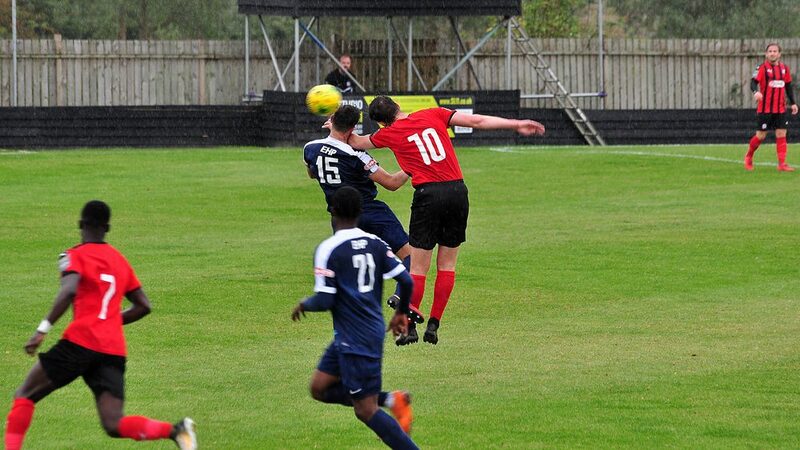 Just moments later and right on the stroke of half-time, Roberts had not learnt his lesson and made the challenge in hand a lot tougher for his side. 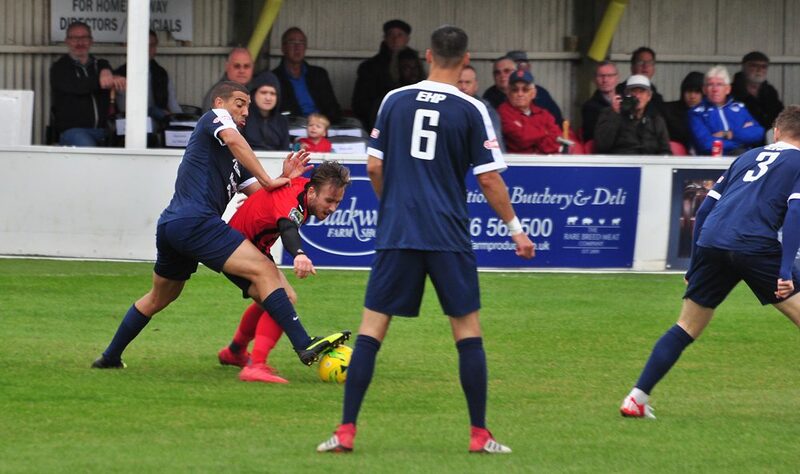 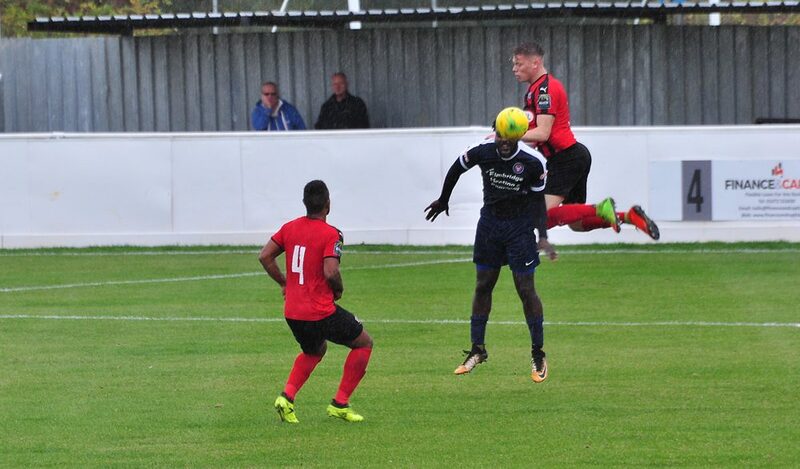 After another late and dangerous tackle on Gyasi this time, Roberts was shown a second yellow card and given his marching orders by Referee, Oliver Morris-Saunders. 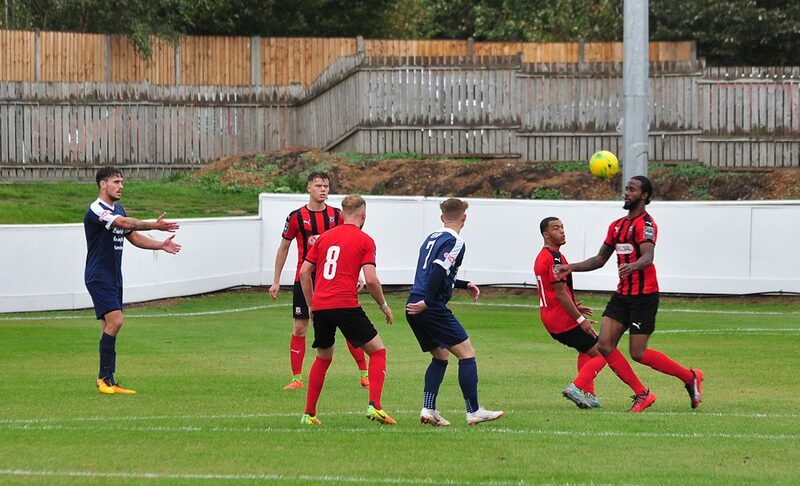 After failing to capitalise on several chances in the first half, Coggeshall should have been more than one goal ahead at the break. 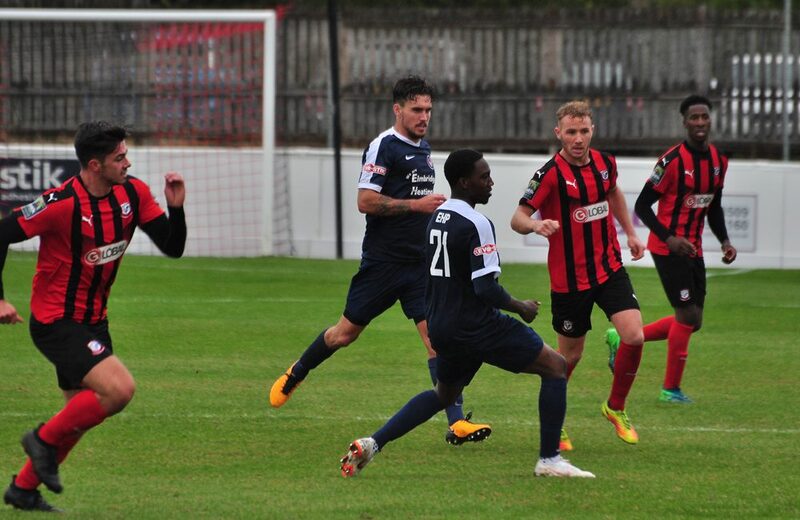 After being reduced to ten men, the visitors made a change at the interval and began the second half with a lot more intensity as they tried to keep their cup dream alive! 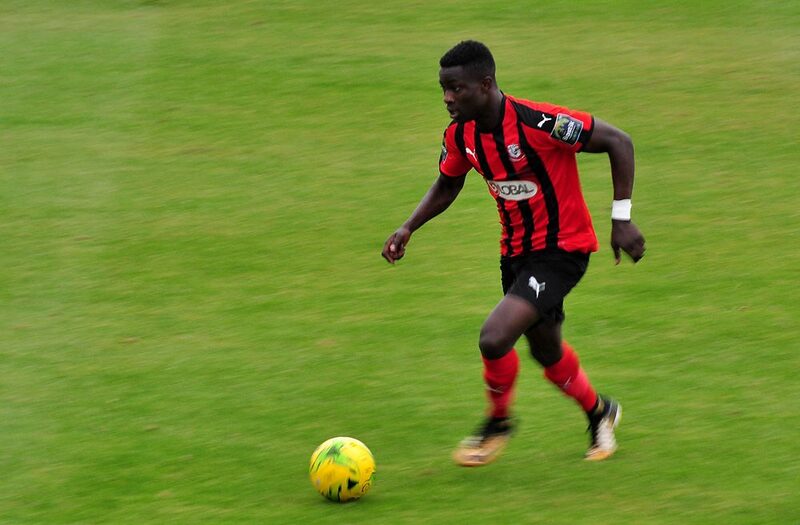 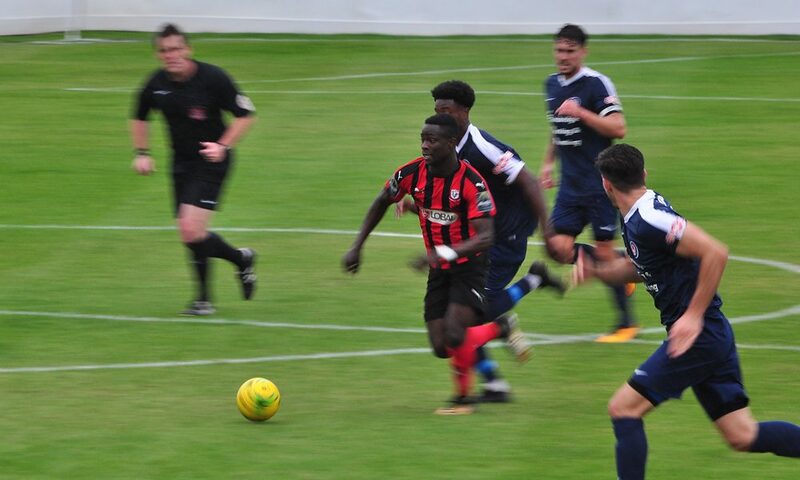 Gyasi was then booked for the home side after conceding a free-kick, much to the surprise of the visiting side who had played on without even appealing for a foul. 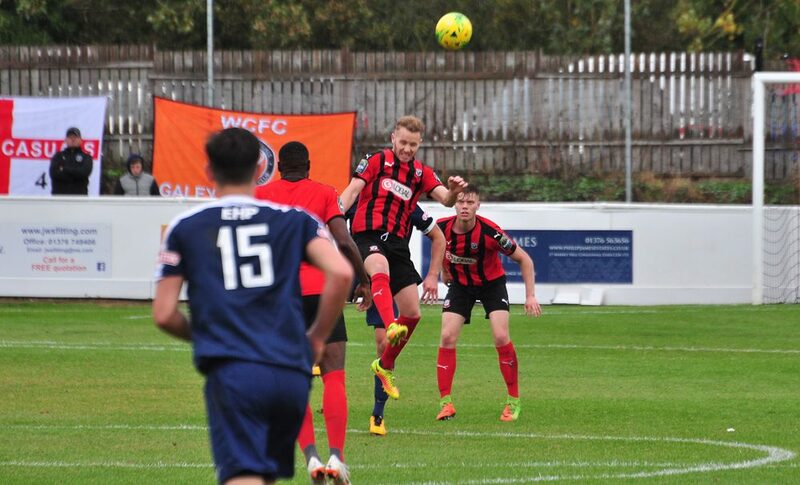 Despite dominating possession in the opening fifteen minutes of the second half, Walton Casuals failed to test James Bransgrove in the home goal. 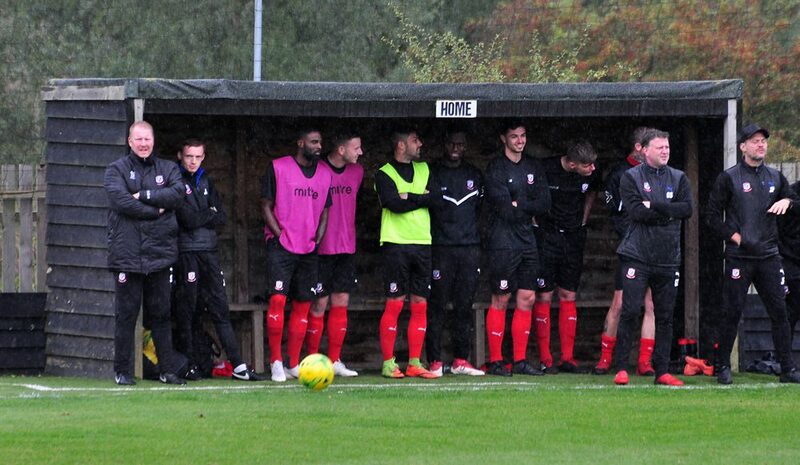 In what appeared to be a cunning plan, the SeedGrowers were using their dangerous counter attack at every opportunity and were soon rewarded. 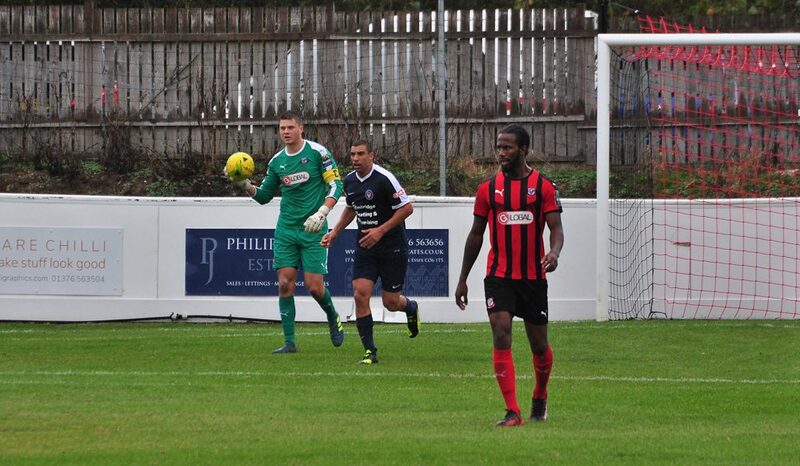 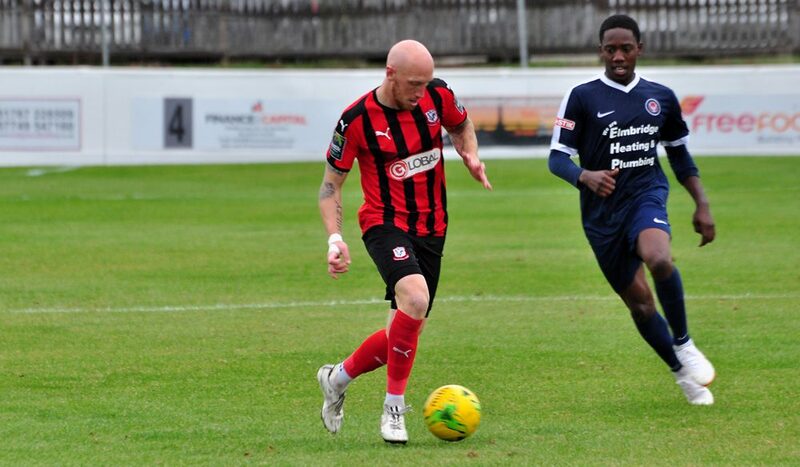 As Coggeshall broke down the left hand side, a quick throw-in found the lively Gyasi who shifted the ball on to his right foot, wrong footing the Goalkeeper in the process and fired his effort from twenty yards in to the bottom corner! 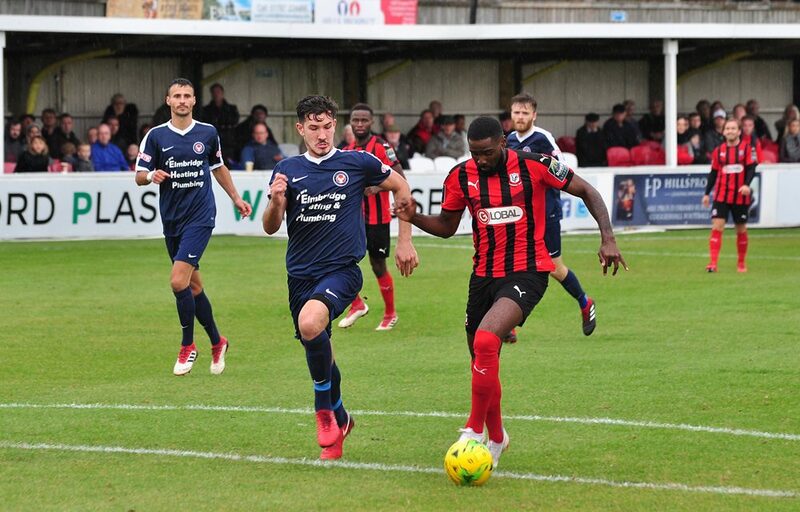 The SeedGrowers found themselves leading a team in the division above them, by two goals to nil – the FA Cup upset was certainly alive and kicking. 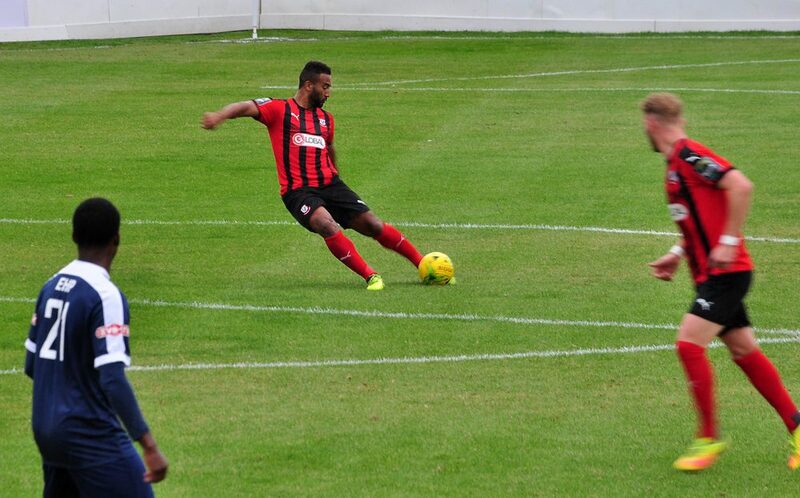 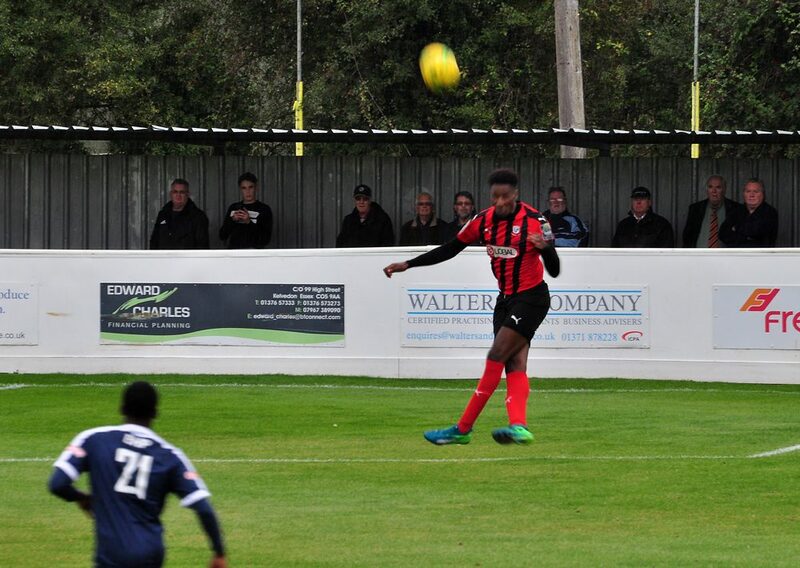 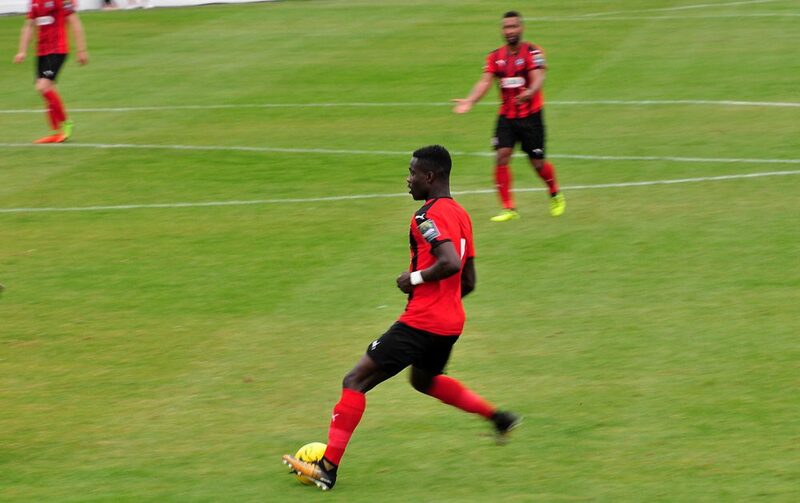 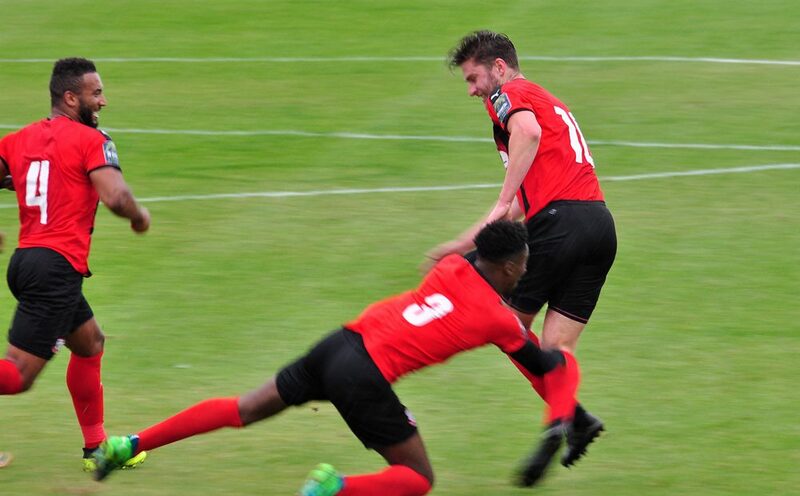 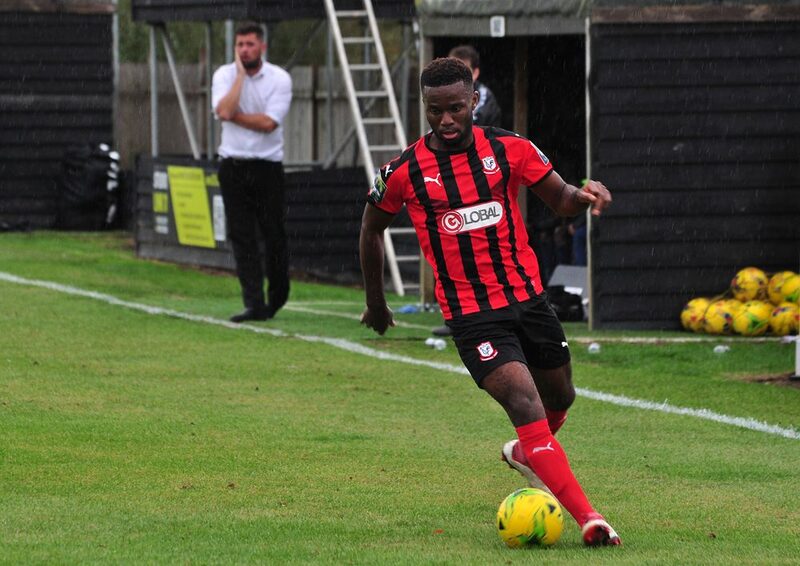 Shortly after extending his sides lead, Gyasi was scissored to the floor by a Walton Casuals defender and was withdrawn through injury, Nnamdi Nwachuku made a welcome return to action in his place after missing the last few games through injury. 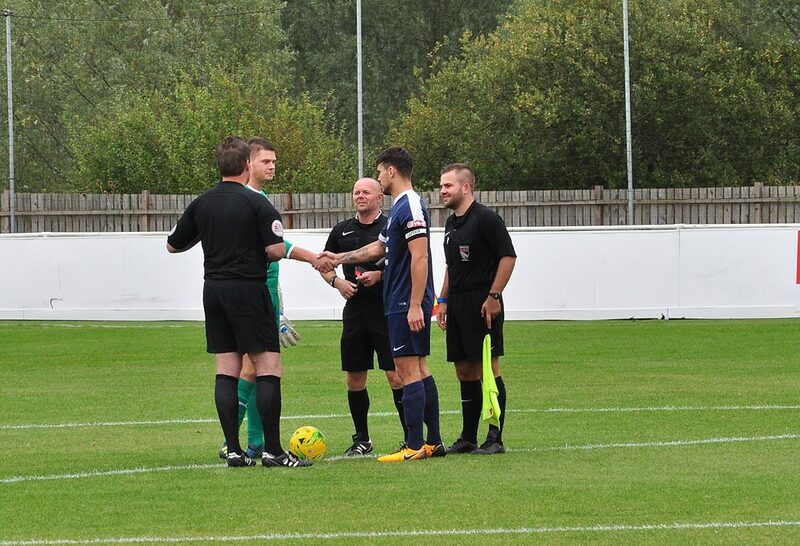 Kieran Bishop was also introduced to the match in replace of Daniel Cunningham, resulting in a slight change of formation for Coggeshall. 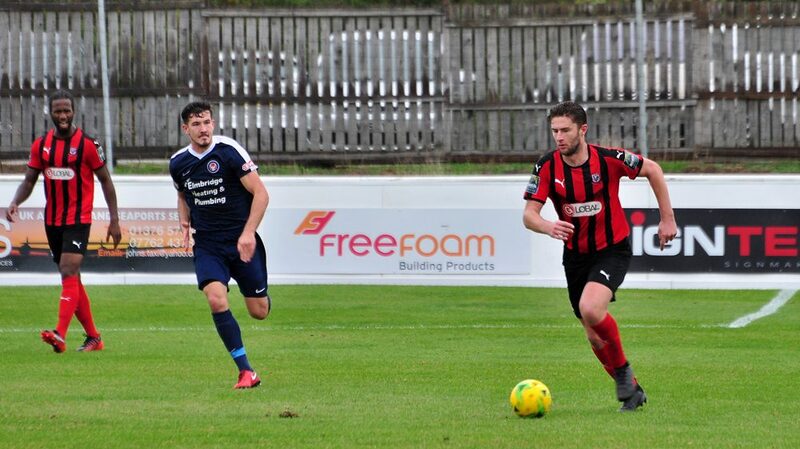 The visitors continued to dominate the ball, without ever testing Captain Bransgrove, who so far was having a quiet afternoon. 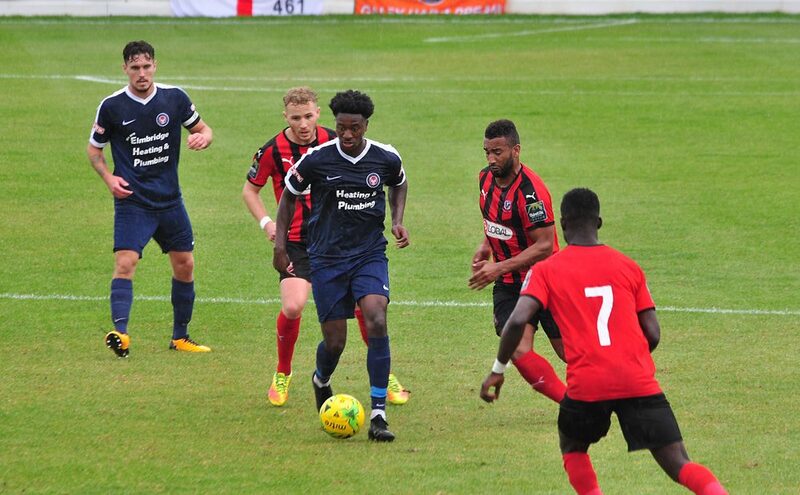 Smith’s side then had two goals chalked off for offside, with substitutes Nwachuku and Bishop both converting their efforts but the Assistant Referee adjudged them to be standing in offside positions. 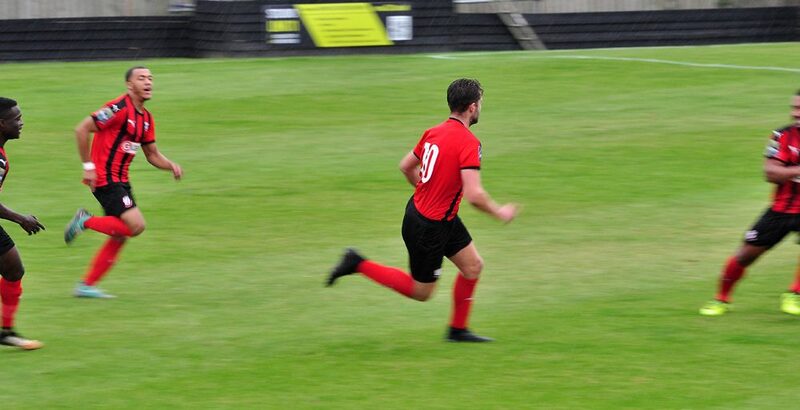 With just over 5 minutes left of the clock, Coggeshall were defending expertly and replaced opening goalscorer, Wall with Tom Monk. 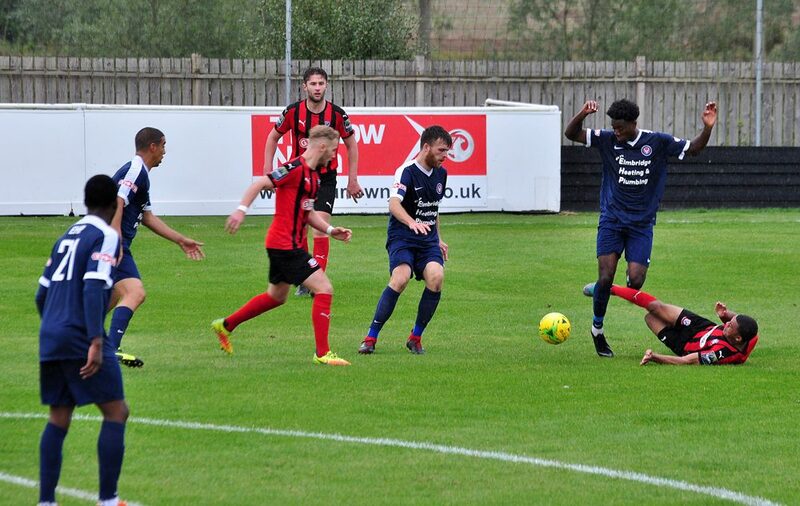 Soon after making their final change of the afternoon, the SeedGrowers were reduced to ten men as Joshua Pollard was unable to continue due to injury. 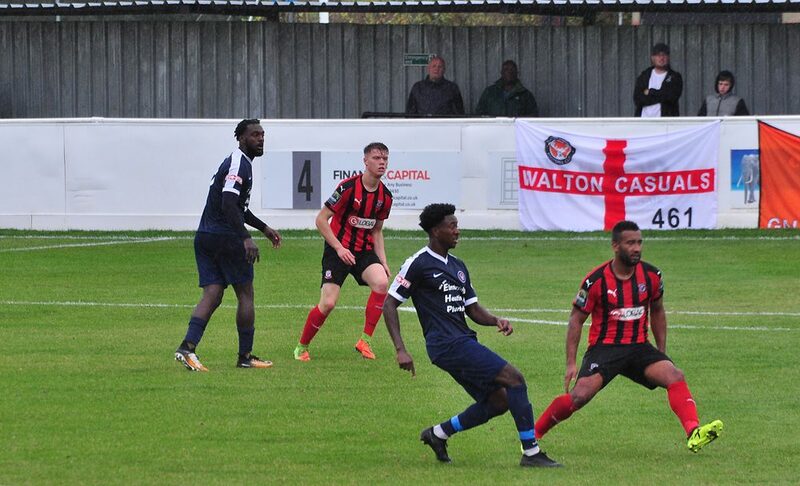 Walton Casuals continued to play their passing game, whilst being chased down by the fantastic Coggeshall midfield, Tevan Allen and Connor Hubble had worked tirelessly all afternoon. 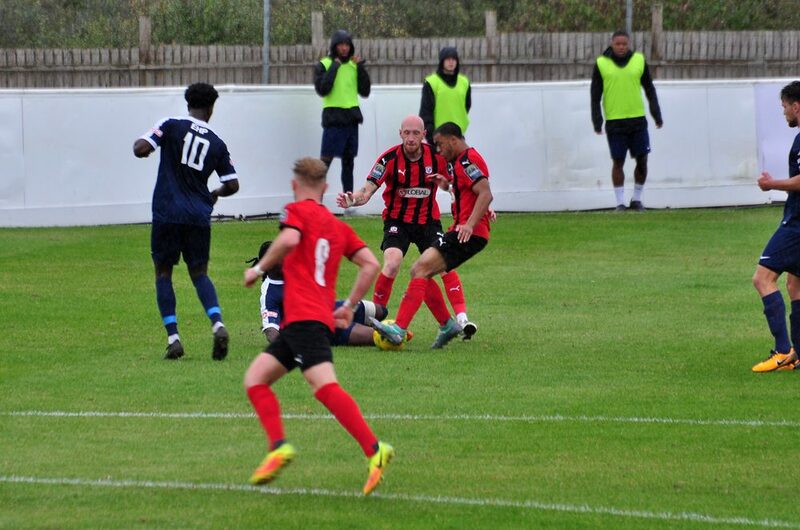 With six additional minutes indicated by Morris-Saunders, Coggeshall remained strong in defence and Walton Casuals were still yet to force Bransgrove in to a save. 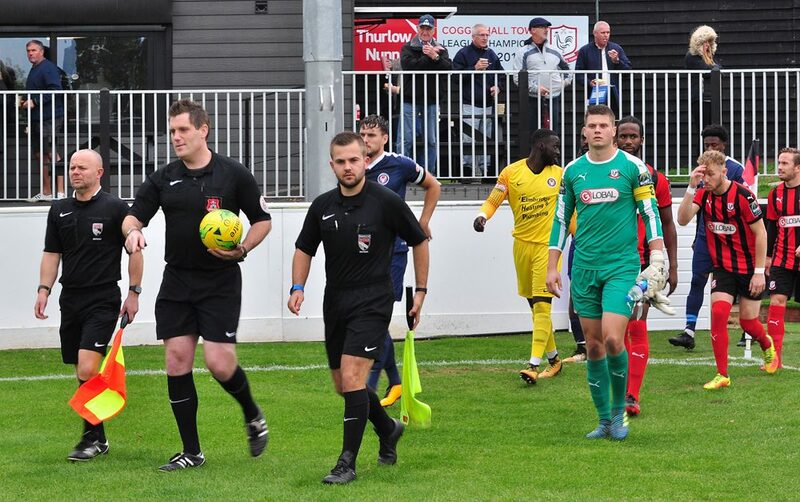 Nwachuku had the ball in the net again, however the Assistant Referee had again his flag for offside – the third disallowed goal of the afternoon. 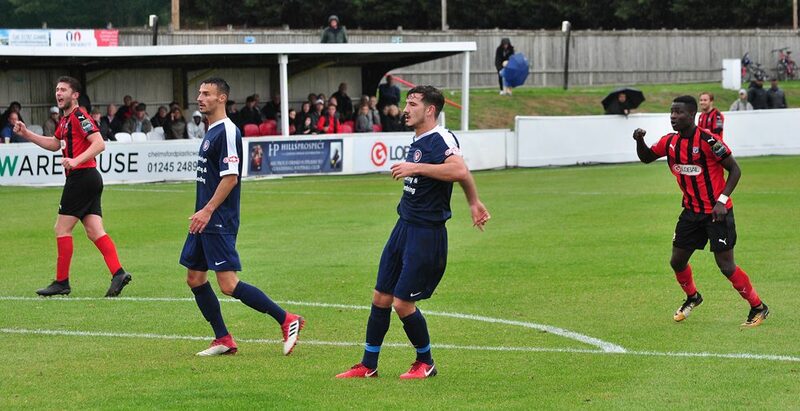 As the clock ticked down, Casuals had one last chance to score from a corner however it was headed away by Tyler Brampton, which was shortly followed by the final whistle and the FA Cup upset was complete! 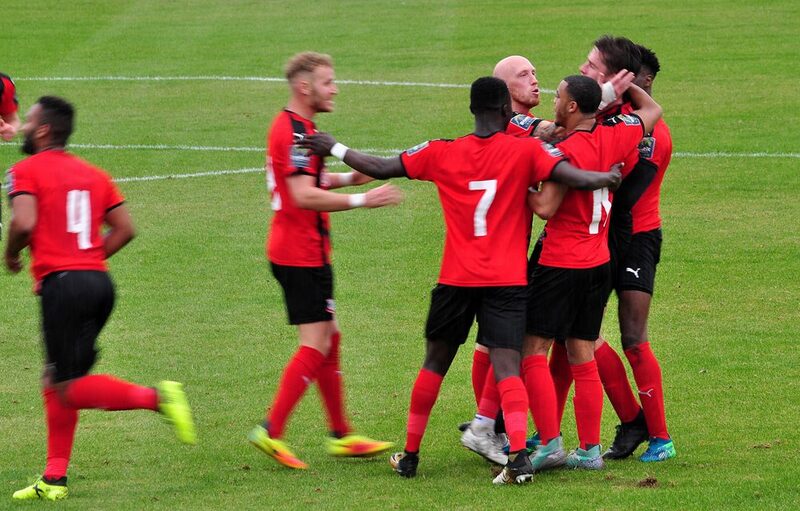 James Bransgrove, Tyler Brampton, Curtis Haynes-Brown, Daniel Cunningham, Dexter Peter, Joshua Pollard, Michael Gyasi, Connor Hubble, Darren Mills, Ross Wall, Tevan Allan. 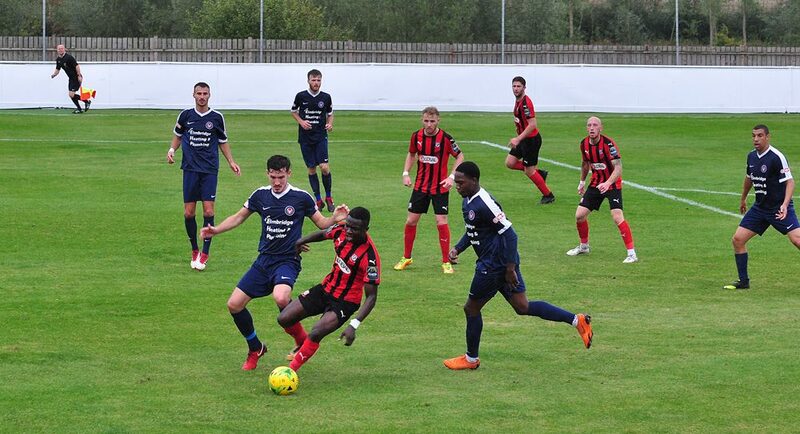 Jamie Shaw, Kevin Coyle, Tom Monk, Aaron Condon, Kieran Bishop, Nnamdi Nwachuku, Lewis Soraf. 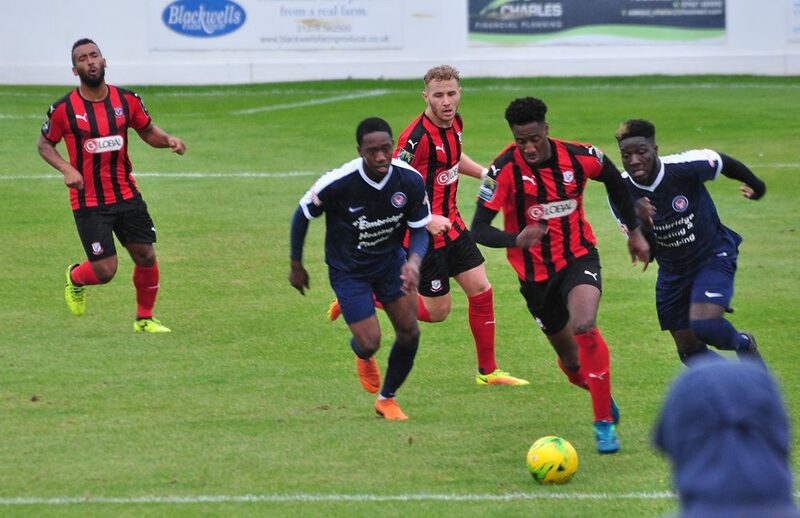 Denzel Gerrar, Omari Hibbert, Harry Mills, Rhyeem Sheckleford, Joe Hicks, Max Hustwick, James Harper, Lartey Sarpong, Ollie Robinson, Youssouf Bamba, Tauren Roberts. 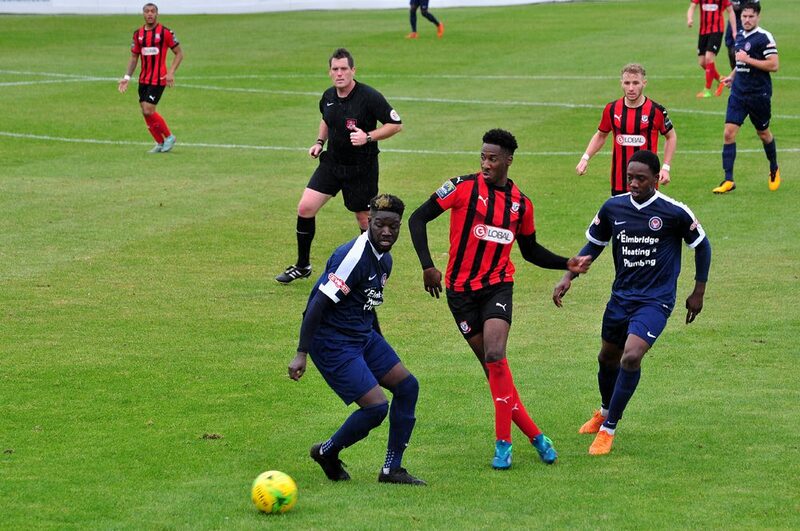 Nathan Wood, Darnell Austin, Kyron Farrell, Ronald Sobowale.